The 4 oz. bottle is premixed. 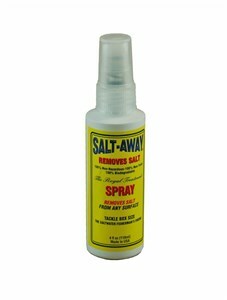 It is ideal for use on fishing reels where salt built up can cause corrosion. It can also be used on other small objects or parts where a small amount of salt remover is needed. It does not require rinsing with water in this formulation. Q. Does the 4 ounce Salt-Away need to be diluted? A. No, the 4 ounce size Salt-Away does not need to be diluted. It is ready to use.